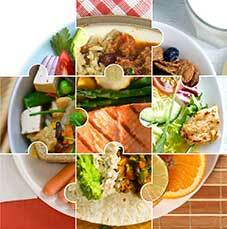 When choosing among multiple diet plans, select one that fulfills your complete nutrition needs. The Office of Disease Prevention and Health Promotion issued three recommend eating plans in its Dietary Guidelines for Americans, 2015-2020 edition. It’s one thing to know which foods are healthy—and another thing to create a diet plan that incorporates those foods. Fortunately, the 2015-2020 Dietary Guidelines for Americans provides detailed information on three different diet plans: the “Healthy U.S.-Style,” “Healthy Mediterranean-Style,” and “Healthy Vegetarian” eating patterns. 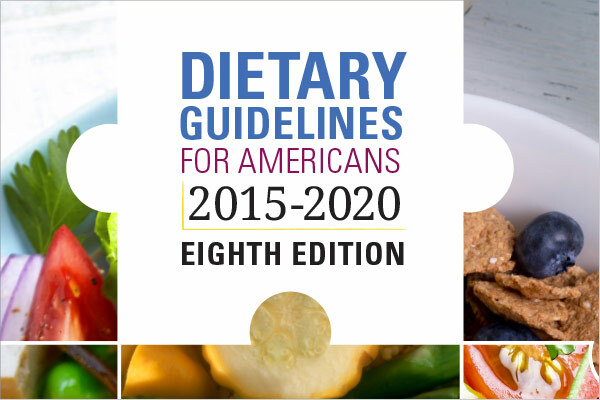 Below, we offer the essential elements of the three diet plans offered in the 2015-2020 DGA. According to the DGA, “Some foods are more concentrated, and some are more airy or contain more water. Cup- and ounce-equivalents identify the amounts of foods from each food group with similar nutritional content.” For example, ½ cup of carrots and 1 cup of Romaine lettuce both count as ½ cup-equivalent, and 1 ounce of tuna and ½ ounce of almonds both count as 1 ounce-equivalent. Vegetables: 2½ cup-equivalents per day (½ cup of cooked or raw vegetables or 1 cup of leafy greens [spinach, lettuce] counts as ½ cup-equivalent). Legumes, which include lentils, beans, and peas, can be counted as a vegetable or a protein (see below) with the exception of green peas, which are a starchy vegetable. Fruits: 2 cup-equivalents per day (¼ cup dried fruit or ½ cup sliced, cubed, or mashed fruit or ½ cup 100-percent fruit juice counts as ½ cup-equivalents). At least half of your daily fruit should come from whole fruit, since fruit juice is lower in fiber than whole fruit. Grains: 6 ounce-equivalents per day, with at least half in the form of whole grains (1 slice of bread, ½ bagel, or ½ cup of cooked grains or pasta count as 1 ounce-equivalent). Dairy: 3 cup-equivalents per day (1 cup, 8 ounces) of milk, yogurt, or soymilk or 1½ ounces of cheese counts as 1 cup-equivalent). Protein: 5½ ounce-equivalents per day (1 ounce of seafood, meat, or poultry, 1 large egg, ½ cup cooked beans or peas, ½ ounce nuts or seeds, or 1 tablespoon peanut butter count as 1 ounce-equivalent). All meats and poultry should be lean, defined as having less than 10 grams of total fat, 4.5 or fewer grams of saturated fat, and less than 95 milligrams of cholesterol per 3.5-ounce serving. Vegetables: 2½ cup-equivalents per day. Recommendations for subtypes are the same as the Healthy U.S.-Style Eating Pattern (see above). Fruits: 2½ cup-equivalents per day. Grains: 6 ounce-equivalents per day, with at least half in the form of whole grains. Dairy: 2 cup-equivalents per day. Protein: 6½ ounce-equivalents per day. Vegetables: 2½ cup-equivalents per day; recommendations for subtypes are the same as the Healthy U.S.-Style Eating Pattern (see above). Fruits: 1½ cup-equivalents per day. Grains: 6½ ounce-equivalents per day. Dairy: 3 cup-equivalents per day. Protein: 3 ounce-equivalents per day. As you can see from the similarities among these three eating patterns, the key to a healthy diet plan is getting enough vegetables, fruits, whole grains, low-fat dairy, and lean protein. These eating patterns also are similar in what they do not include: processed foods and food products that contain added sugar, saturated and trans fats, sodium, additives, and other ingredients that lack valuable nutrients. 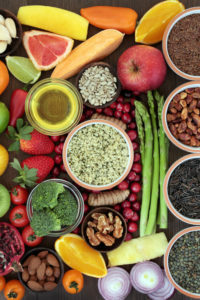 The 2015-2020 Dietary Guidelines for Americans offers these five “overarching” goals for the diet plans discussed on this page. All food and beverage choices matter. Choose a healthy eating pattern at an appropriate calorie level to help achieve and maintain a healthy body weight, support nutrient adequacy, and reduce the risk of chronic disease. Consume an eating pattern low in added sugars, saturated fats, and sodium. Cut back on foods and beverages higher in these components to amounts that fit within healthy eating patterns. Choose nutrient-dense foods and beverages across and within all food groups in place of less healthy choices. Consider cultural and personal preferences to make these shifts easier to accomplish and maintain. Everyone has a role in helping to create and support healthy eating patterns in multiple settings nationwide, from home to school to work to communities. almonds, calories, carrots, cholesterol, corn, dairy, diet, diet plans, dietary guidelines, dietary guidelines for americans, fiber, food, food groups, health, healthy body weight, healthy diet, healthy diet plan, healthy eating, healthy eating patterns, inactivity, low fat dairy, milk, nutrient dense foods, nutrient density, nutrients, nuts, potatoes, processed foods, protein, soy, spinach, sugar, vegetables, vegetarian, whole grains, yogurt.